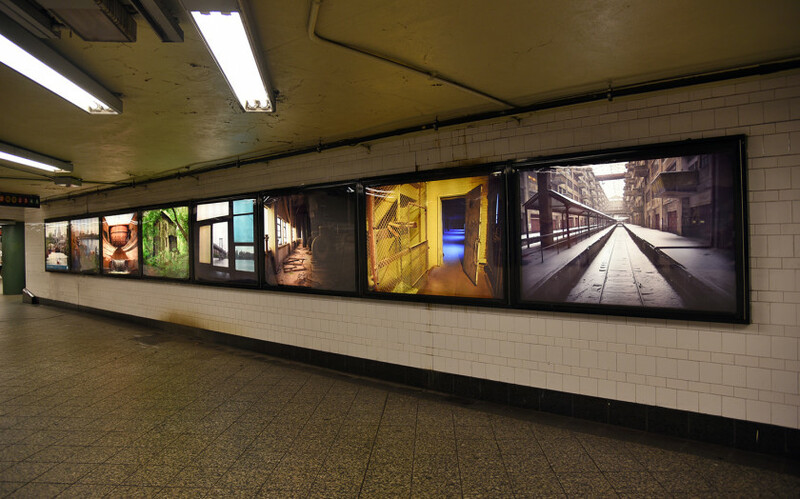 Industrial Twilight was a photography exhibit installed inside the Atlantic Avenue Subway Station Lightboxes in Brooklyn, New York, as part of the Metropolitan Transportation Authority (MTA) Arts & Design program. It presented a selection of eight photographs taken between 2007 and 2016, with each image printed as a six-foot-wide photographic transparency. 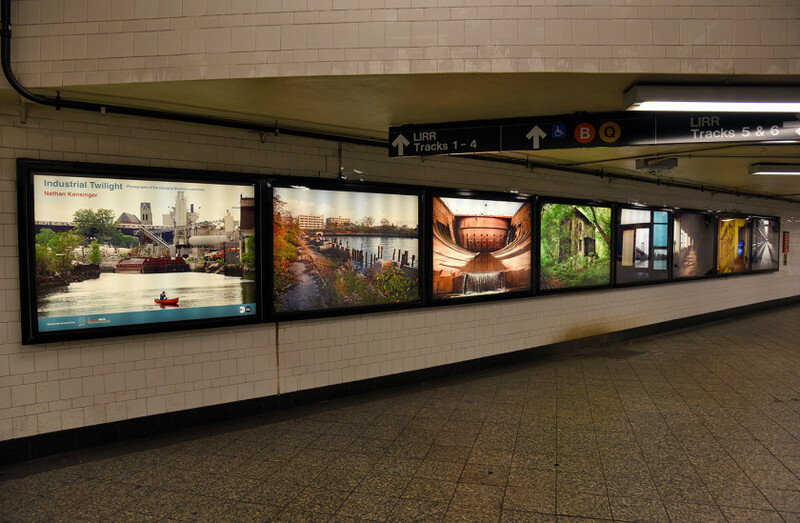 This installation engaged commuters passing through an underground corridor, transporting them to Brooklyn’s post-industrial waterfront with a series of images that moved between interior and exterior, visiting forgotten landscapes, abandoned factories, empty warehouses, overgrown waterfronts and industrial canals. Industrial Twilight was sponsored by Griffin Editions and Kodak Alaris.